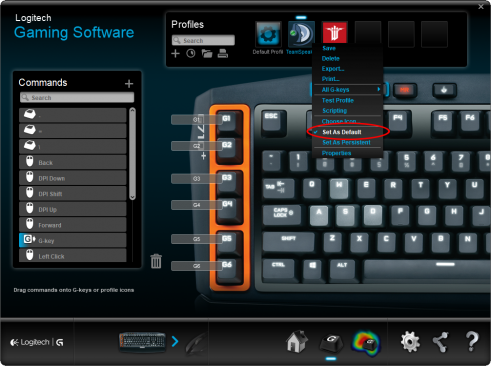 This plugin provides support for Logitech devices with G-Keys for hotkeys. 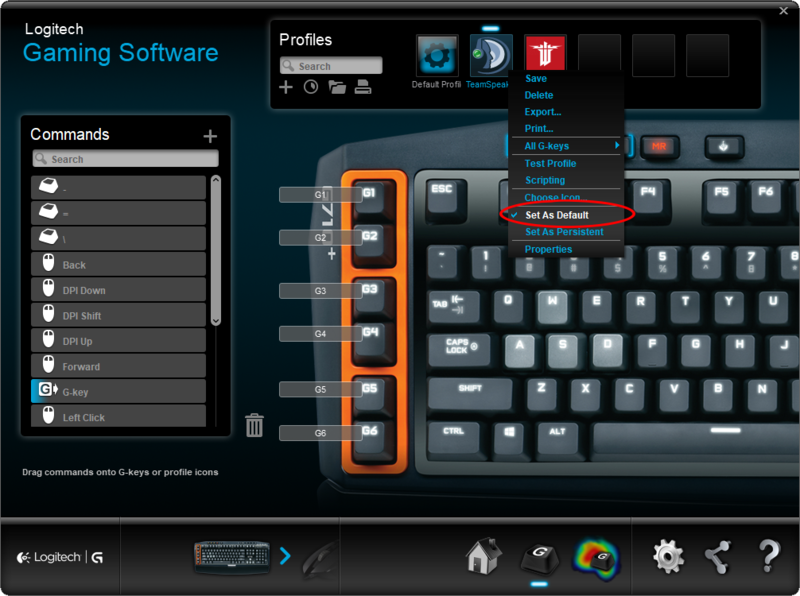 This allows you to use these macro keys directly without rebinding them to standard keyboard keys. 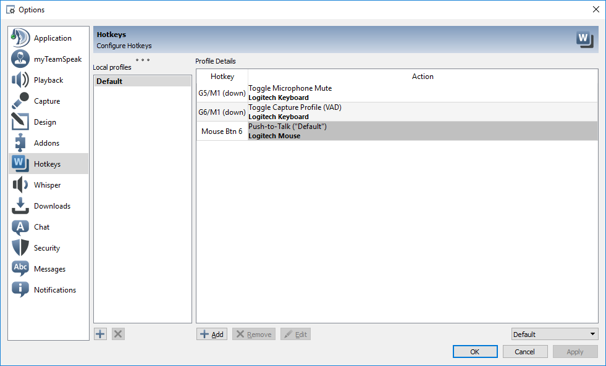 Once installed G-Keys can be configured like any other hotkey, however by default these hotkeys can only be used when TeamSpeak 3 is in focus. 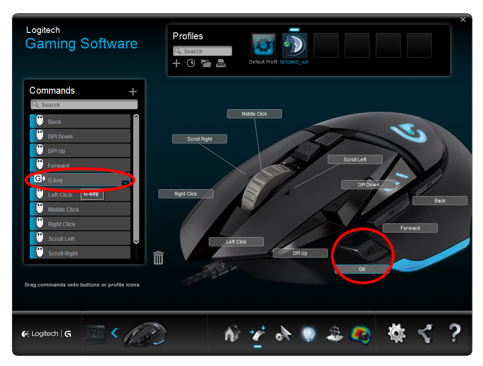 If you cannot find the G-Key item, make sure you switch your mouse to use "Automatic Game Detection" instead of "On-Board Memory". The plugin is licensed under the MIT license. 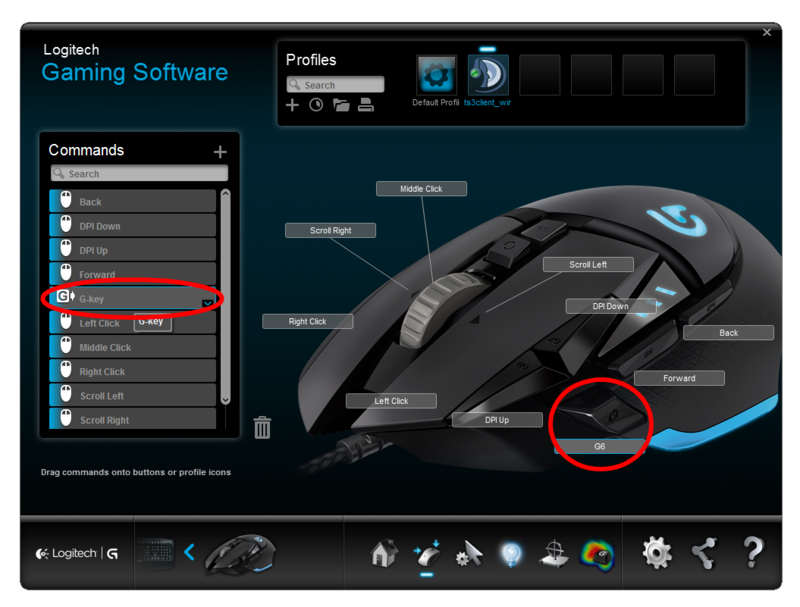 The TeamSpeak 3 Plugin SDK and the Logitech G-Key SDK have their own respective licenses.